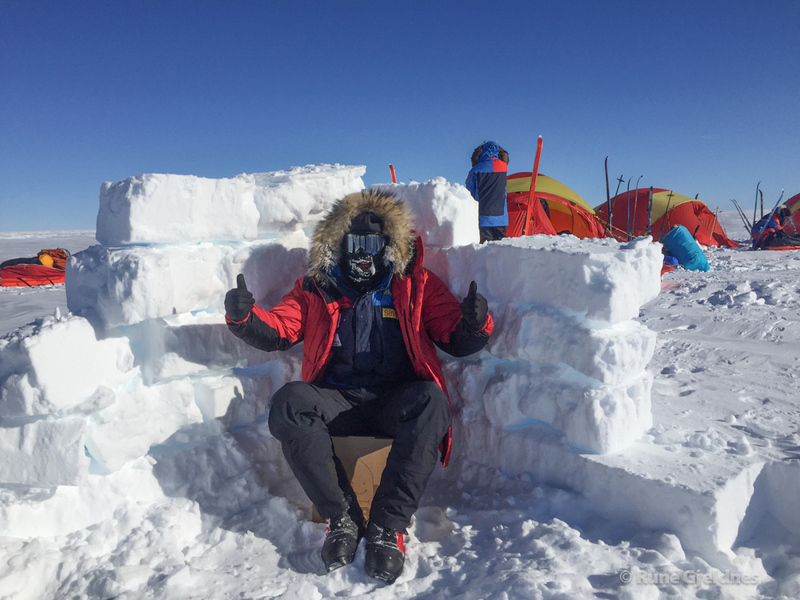 It was time to team up with David Hempleman-Adams on a new trip to the South Pole. David had organized a Shackleton memorial expedition celebrating the Centenary of Ernest Shackleton’s Imperial Trans-Antarctic Expedition, and I was helping out with practical things during the journey. 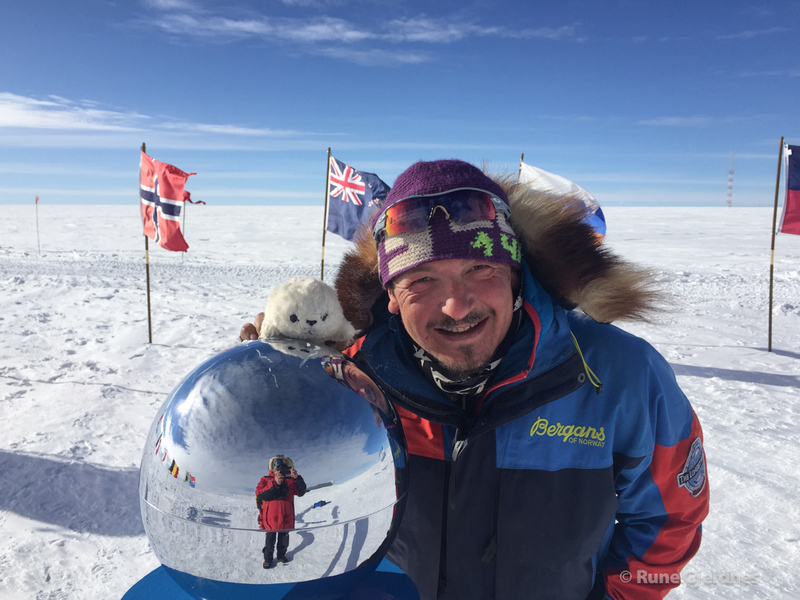 On the other hand, but not so important, it was 10 years since I reached the South Pole for the first time, on the crossing of Antarctica. The beginning. Basler take of with pilots, Jim and Will, and we off on ski. Altitude 2700 meters. The expedition was the brainchild of Tim and Alice Holmes. Alice is one of the granddaughters of Sir James Wordie, the ‘Endurance‘ expeditions geologist. The plan, was to do the last 97 Nautical miles, which Shackleton and his team, did not do, to reach the South Pole in 1908. Very clever man! One of many camps. Steady temperatures – 27 C to – 32 C.
A greate “restroom”to do great things. One of many hides. The plan of doing 97 Nm, changed with the weather and delays. Late flight from Punta Arenas to Antarctica and then waiting in Union glacier for the flight to the starting point, pushed us to cut down on the distance, and ended up with “Last Degree expedition”. South Pole station area in distance. 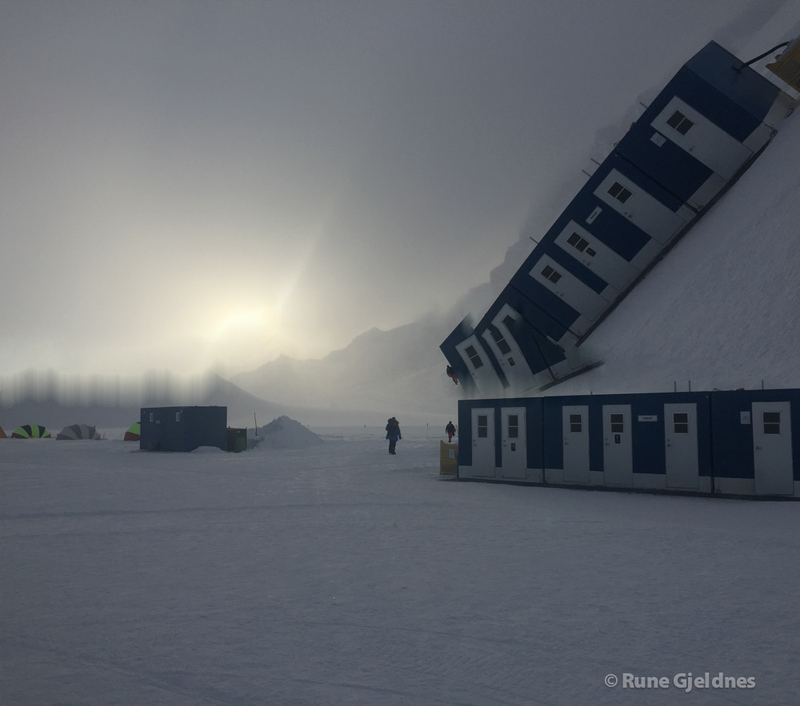 The team of 15, was flown from ALE´s camp at Union Glacier, into 89 degrees, and started off from there. Because of the altitude we had to start slowly, with few hours skiing during first two three days, to try to avoid high altitude sickness. I do think all of us felt the altitude. Down South, 2700 m is similar to 3100 m at equator. The group was divided into three tent. Big groups need more time to cover distances, but we manage to reach the South Pole in 8 days. At the South Pole we where met by smiling ALE staff. Hanna Mckean who has done most amount of South Pole expedition from the coast to the South Pole was the base manager. I do think all were very happy to have the ALE camp there, and not had to walk back again. Geographical South Pole 2015, which has moved 100 m since 2005. Windy day in Union Glacier, waiting for good flight weather.